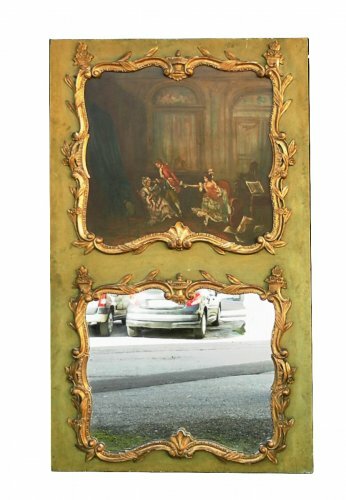 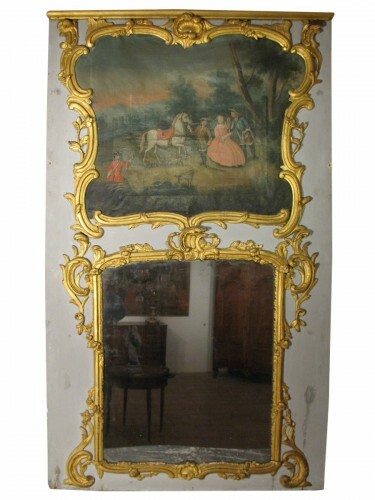 Antique Louis XV period overmantel mirror in carved and gilt wood , 18th c.
The overmantel or pier glass is composed of mercury-coated glass, surmounted by a carved, lacquered, and gilded wooden panel (called a trophée) or a painting (oil on canvas). 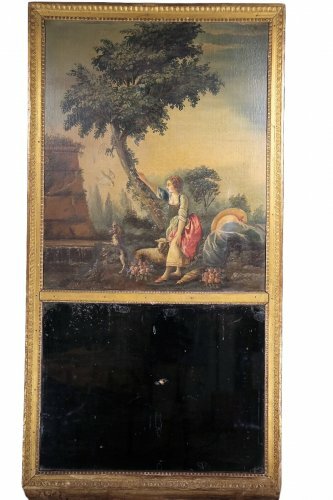 The latter very often represents a rural scene, a scene of gallantry, or a still life. 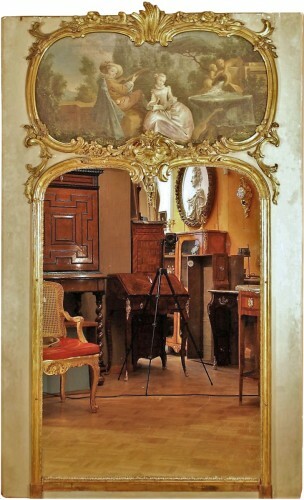 The term ‘trumeau’ originally referred to the wall space between two windows or above a fireplace. 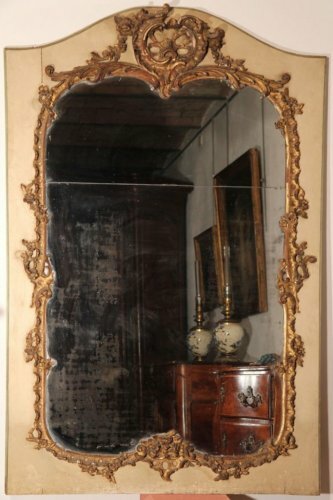 In the eighteenth century, overmantels and pier glasses were wall mirrors located in these areas of a room. 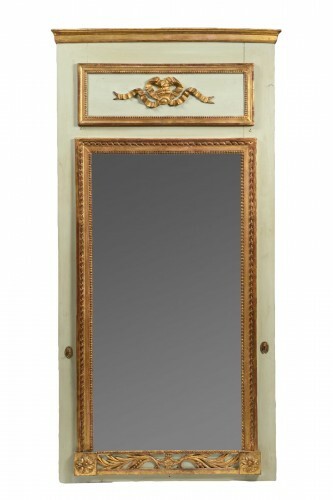 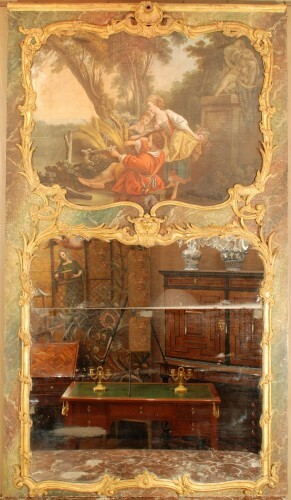 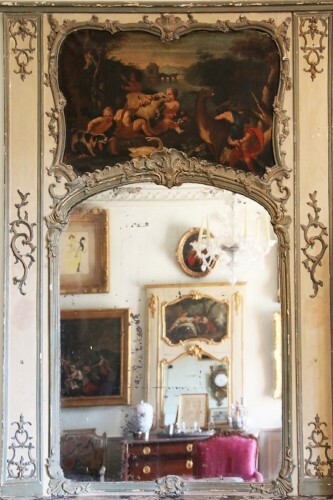 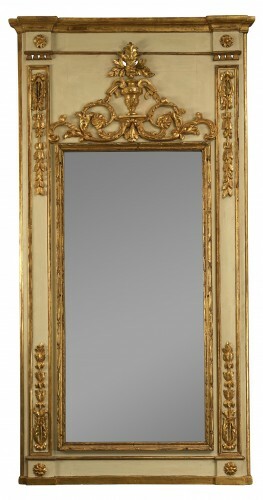 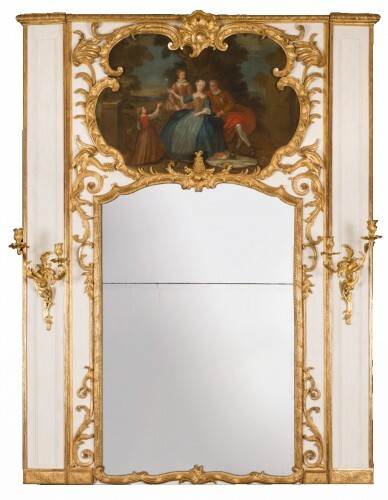 Subsequently, the term ‘trumeau’ continued to be used to refer to this type of mirror, even though it could be placed in another part of the room. 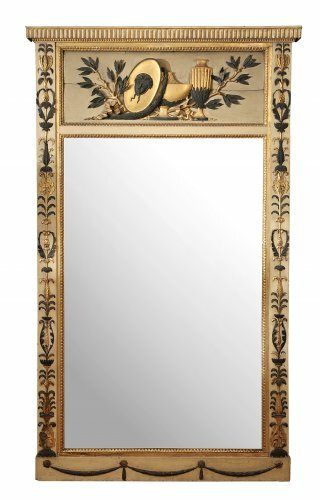 Emblematic pieces of the Louis XV and Louis XVI style, the finest models of overmantel or pier glass are embellished with carved ornamentation, which follows the rocaille style: acanthus leaves, foliage, ribbons, shells, rosettes, and corn.